Now that the new year’s begun, it’s time to look ahead. It’s time to make new plans and commitments – it’s time to set new goals and objectives. Now business planning as a whole requires that you consider all the different facets of your business – you need to plan for new development projects, sales endeavors, and recruitment drives, for example. Just as important as these types of planning are, you need to make time to plan your future marketing strategy as well. 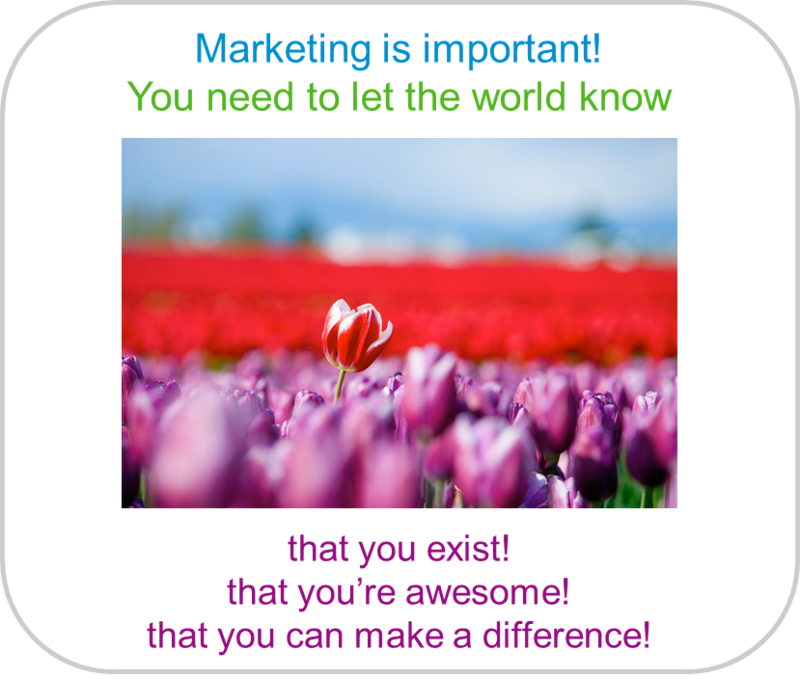 Why is marketing important? As you probably know, communicating your value plays an important role in your business activities. 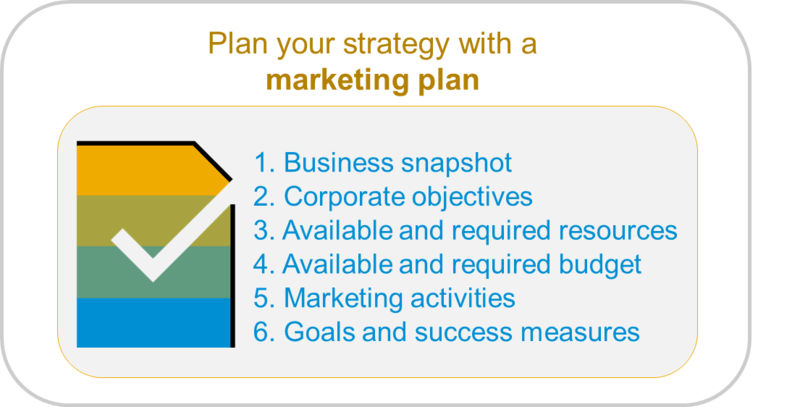 Why do you need to plan your marketing strategy? Because there are different types of communication strategies that you can employ, and depending on what exactly you wish to accomplish in your business, as well as the specific characteristics of your customers and where they are along the buyers’ journey, some strategies are better suited than others. In addition, considering that the marketing endeavors you choose require budget, resources, and time, you will likely need to justify your strategy to stakeholders and company executives, to show that you are using company assets for activities that have the best chance of succeeding. Therefore, we strongly recommend that you document your thoughts, ideas, and plans in a formal document called a marketing plan, which you can share with your team, consult or update whenever required, and use as your primary guide along this year’s marketing journey. 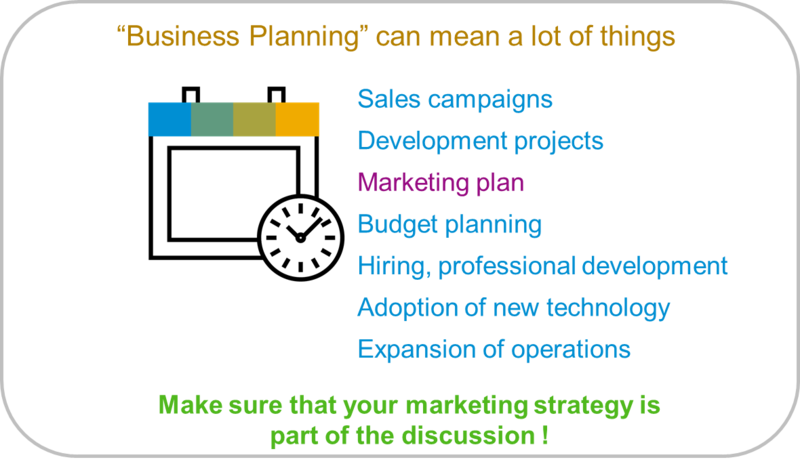 So what’s a marketing plan? Your business snapshot, which describes your business’ unique realities and goals right now. Your marketing goals and measures for success – how you will determine whether your marketing endeavours are successful. Imagine that you had a special camera that allowed you to take a virtual picture of your business, revealing to you all that is happening in a specific moment in time. If you took such a picture today, what would it tell you about your businesses’ mission and vision? Its current buyers? The products and services it is offering and the value they provide to their customers? The details of these answers revealed in your business snapshot. When building a marketing plan, make sure you have access to the details of your business’ most recent snapshot – in other words, it’s important to understand what’s going on in the business right now – so that the marketing activities you propose will work in collaboration with your other business activities and will speak to the needs of your current buyers and customers. According to ClearVoice, A mission statement focuses on today and what an organization does to achieve it”. A vision statement focuses on tomorrow and what an organization wants to ultimately become. What are we doing today/this year? What types of customers are we serving today/this year? How are we serving these customers today/this year? A company’s mission can change from time to time, as the world, technology and the needs of your customers change. What do we dream our business to be? How will our business make the world a better place? A company’s vision can change, but this will happen less often, and only as a result of a lot of soul-searching, experience, and reflection. A mission statement is like a new year’s resolution; a vision statement is like making a life-impacting decision. 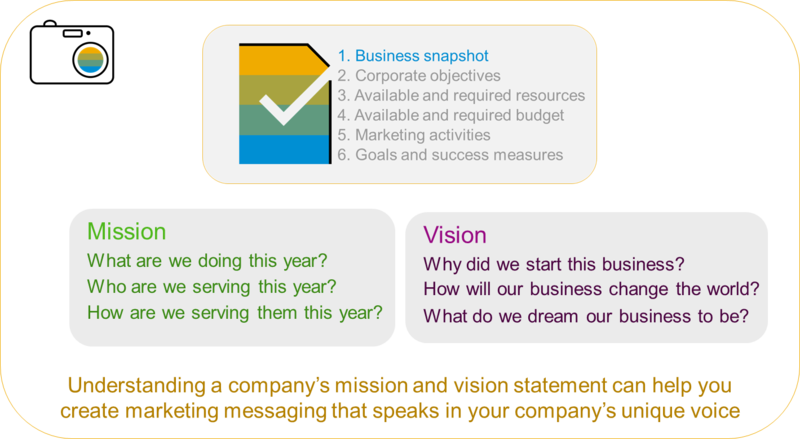 In marketing planning, understanding a company’s mission and vision statement can help you create marketing messaging that speaks in your company’s unique voice, and reflects its unique values. 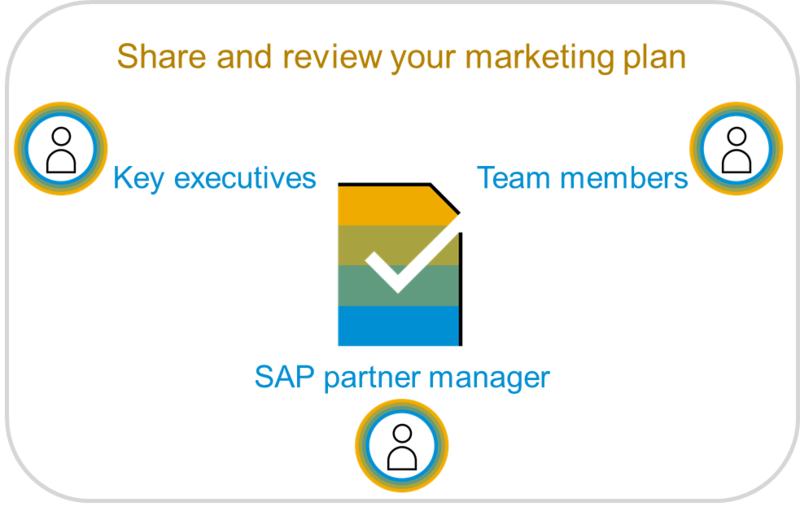 List all the SAP solutions and consulting services for which you will be executing marketing campaigns. Depending on the product and more importantly, the needs and expectations of the buyers of these offerings, you might need to consider different marketing strategies. For example, if you’re communicating the value of S/4HANA to a CEO, you might want to talk about how your offerings can contribute to long-term growth; but if you’re communicating the value of SAP Leonardo to a CTO, you might want to speak about how your offering can establish new, intelligent, and automated processes that are secure and efficient. 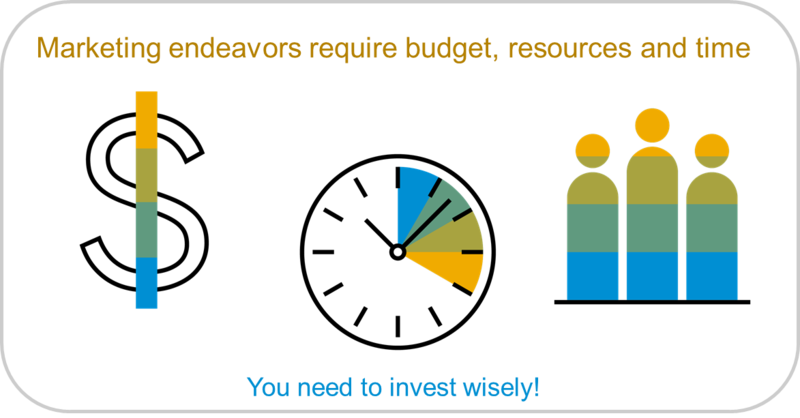 As a company, you might be the best at providing both SAP solutions, but it’s clear that each offering has unique benefits, and your messaging needs to reflect that. You will start to paint a “picture” of the buyers who would select your offering. This picture or generalized representation is called a persona. Your value proposition(s) – What Business challenges do you solve? 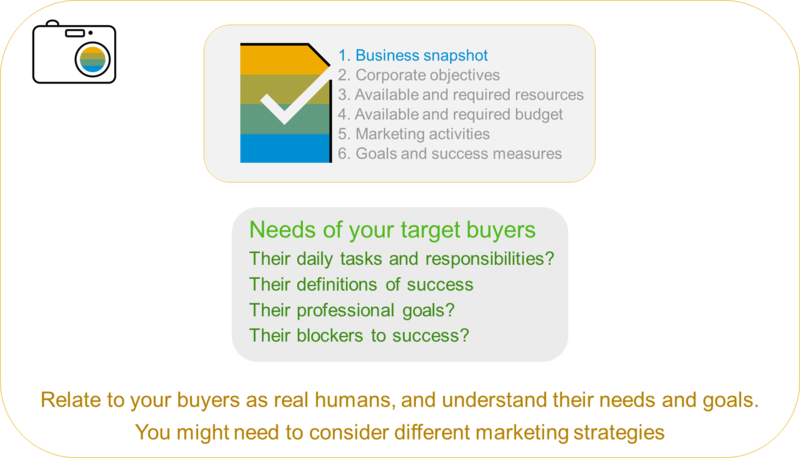 It’s simple – your marketing messaging needs to speak to the needs of your buyers: their goals to achieve; their problems to solve. Your messaging needs to answer the question “How will your offering make your buyers’ lives better?”. And the answer to that question is the essence of your value proposition. 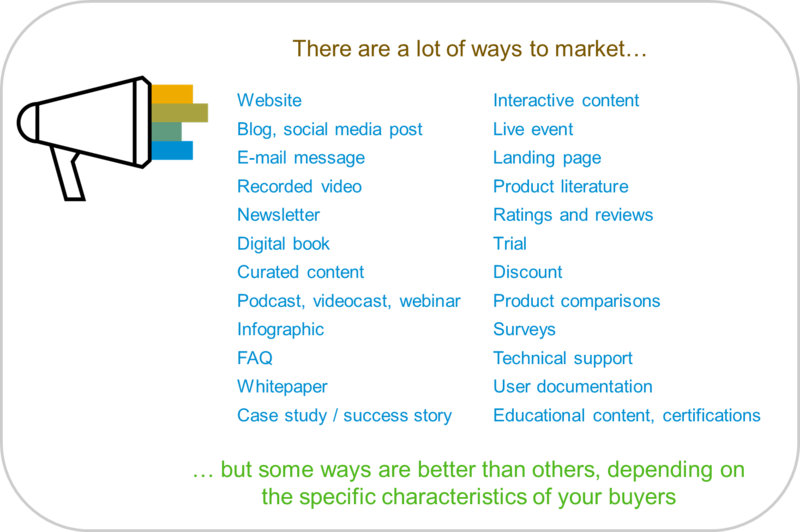 Marketing messaging that is built on a buyer-centric value proposition has a better chance of being noticed by them! You can learn more about creating your value proposition here. You probably know that “success” means different things to different people – success in business is no different! While it must be profitable in the long run, shorter-term objectives might be less… well, objective! Businesses might also look to increase their overall revenue, sales volume, or market share. They might even wish to focus on introducing and establishing an innovative new technology to their customers, because they see the long-term benefit a few years down the road. When planning your marketing strategy, it’s a good idea to understand what the company wants to achieve so that you can best contribute to attaining that achievement. For example, if the company’s focus is on selling a new product, then you might consider leveraging more marketing resources for that product. If the company’s focus is on maximizing service and license renewals, you might want to create campaigns and assets targeted toward existing customers. Of course, marketing requires resources – people, equipment, software, perhaps Website or graphic design services. When building your marketing plan, you need to assess what resources are currently available to you, those that you can acquire, and those that are out of reach. This will help you with your planning, since you’ll know from the get-go the types of activities you can or cannot do. For example, you might be interested in creating a video outlining the capabilities of your company – while you don’t have the budget to hire a video production company, you do have an enthusiastic team with rudimentary video-editing experience, and you have budget to purchase video-editing software and a microphone. Given these resources, you might be able to create a professional-quality narrated animation that delivers the same message. Similarly understand the capabilities, experience, and current workloads of your staff. Ensure that they will be able to complete the activities that you plan in a way that is acceptable to them and to the company and of course, to the end product. If hiring new expertise is a possibility or probability, take this into consideration when making your marketing decisions. When it comes to calculating how much budget you need to earmark for marketing activities, consider using a percentage of forecast revenue for the year, usually between 2 and 5%. For example, if you are forecasting a revenue of 3 million dollars, then a 2% marketing budget would be $60,000. And don’t forget about MDF! If you have MDF to use or are expecting to accrue MDF, include these amounts when calculating your marketing budget. 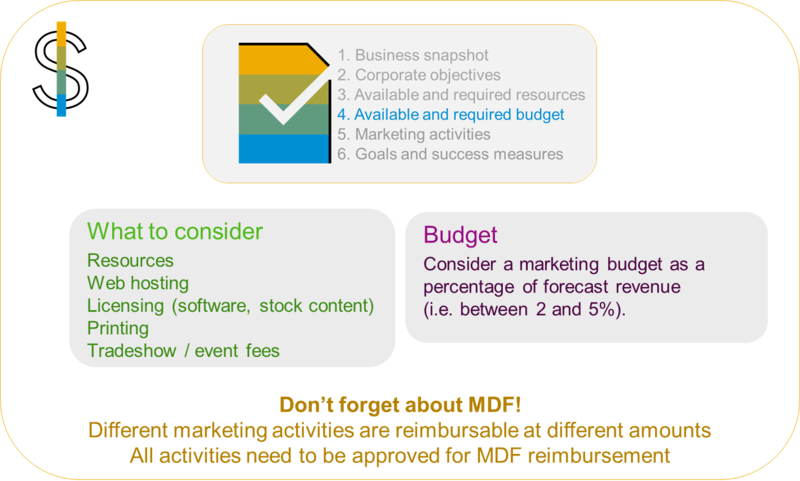 Just remember that different marketing activities are reimbursable at different amounts and that a given activity needs to be approved for MDF reimbursement. Now that you’ve assessed the current snapshot of your business, understood your corporate objectives, assessed the availability, strengths and weaknesses of your resources, and established your budget, you are ready to think about the marketing activities that will best serve the mission of your business. What activity will I do? What is the rationale (answer this from the standpoint of your buyers needs and habits)? What are my expected results (marketing objectives)? Measurable – you should be able to measure the success of the campaign based on pre-defined success measures. 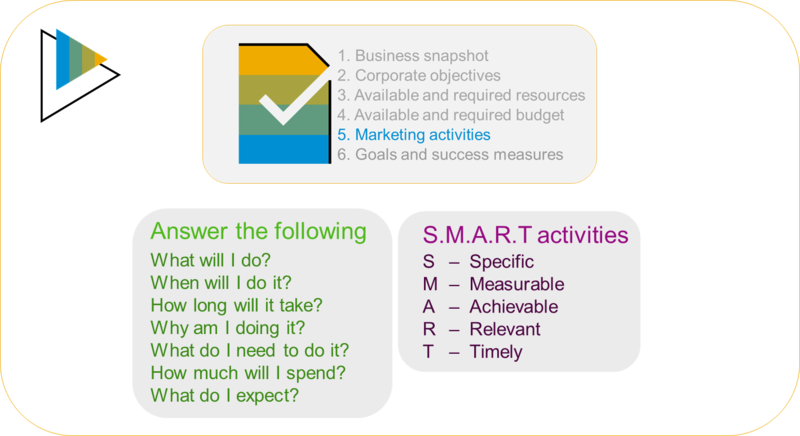 Relevant – the activity should be relevant to your marketing and corporate objectives. It should reach individuals who could potentially be your buyers, and should be present in those places (physical or virtual) where these individuals might go. 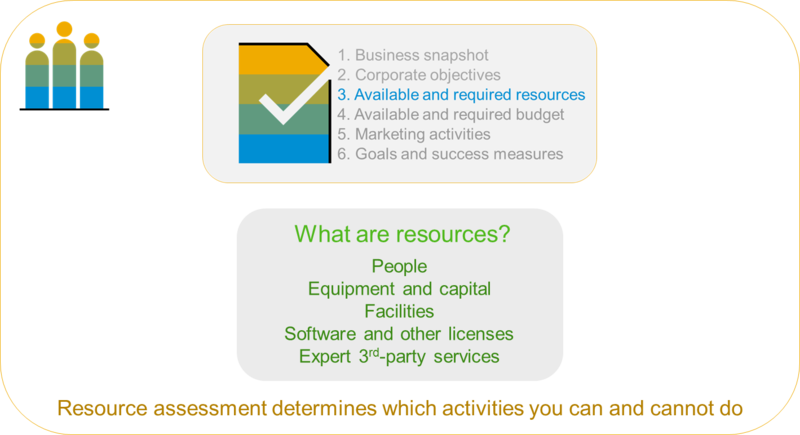 For example, if you are offering SAP services to a specific industry, it probably makes sense to have a booth at one of their trade-shows; it might make less sense to be handing out flyers at a rock concert, even though both activities might be specific, measurable and achievable. Timely – ensure that you define a deadline for your activity. Of course, they need to be realistic and flexible, but having a deadline sitting in the back of your mind can sometimes help you and your team to take the task more seriously, to jump into action and to include it when setting priorities among the other tasks that need to be completed. When it comes to making important purchases, most people don’t just make the decision to buy – rather their thought process goes through a progression, which we refer to as the buyer’s journey. Once they have selected your offering, their experience with it also goes through a progression, which we refer to as the customer journey. In Marketing, understanding the buyer and customer journey is important because how we approach buyers and customers is very different in in each stage. When planning and proposing your marketing activities, ensure that you consider content for each of these steps so that you are communicating effectively, appropriately, targeted and efficiently, regardless of where a buyer or customer is in their journey. 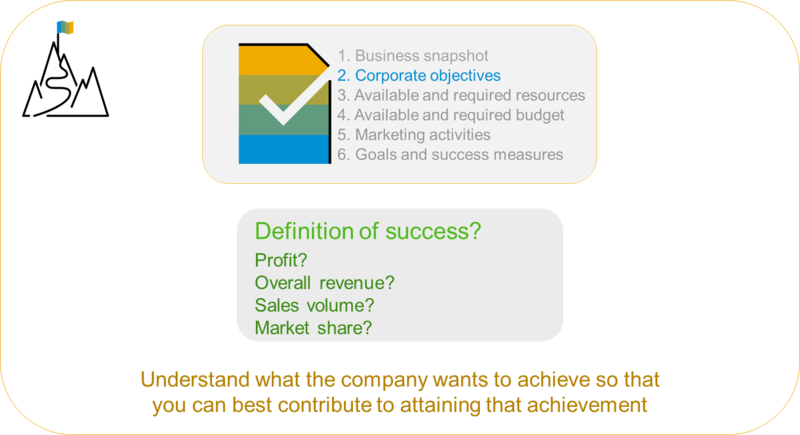 How will you know if your marketing endeavors contribute to your corporate objectives? When planning your marketing activities, it’s important that you also define “success targets” for each of your activities, and you need to be able to objectively determine if you’ve attained this target. For example, you want to be able to how many people are consuming your marketing assets and you want to be able to determine which of your customers might have been inspired to select your business because of these assets. So, for all the marketing activities that you propose, ensure that you have identified how you will determine whether or not they contribute to the attainment of your business objectives. 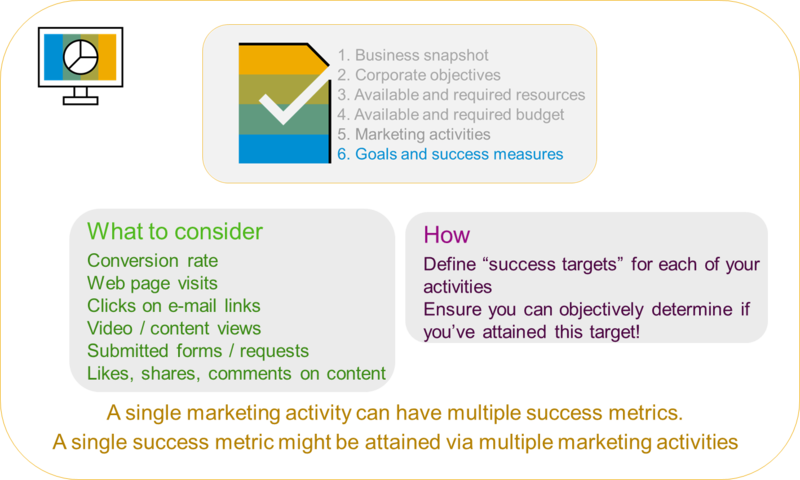 Keep in mind that for a single marketing activity, you might define multiple success metrics. In addition, a single success metric might be attained through the contribution of multiple marketing activities. 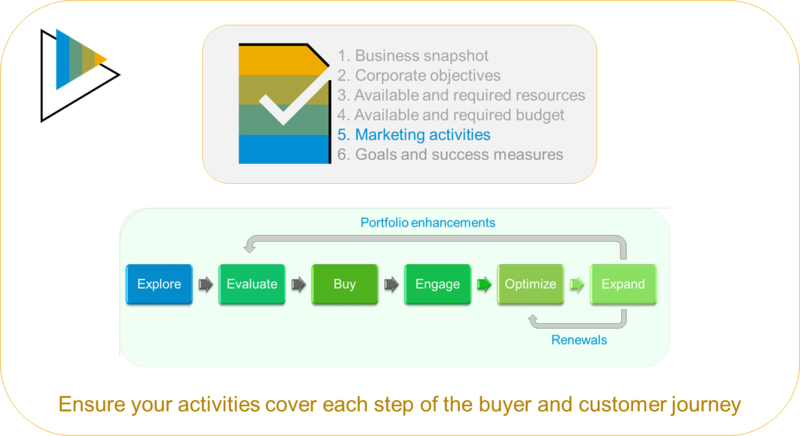 Once you have completed your marketing plan, share it with your key executives and team members, as well as with your SAP Partner manager, so that everyone understands and agrees with your proposed methods and rationale. Make this year the best one ever! The clock of 21st-century business never stops, and now’s the time to plan your future activity and business opportunities! A properly-developed marketing plan will allow you to identify marketing opportunities that best correspond to your company’s business objectives, your customers’ needs and expectations, your available resources, and your budget – it enables you to select the best tactics to reach your market, communicate your value proposition, and stand out from the competition. It also creates an opportunity to communicate and align your strategy with the executives and key players on your team, via a formal, professional document, and helps justify requests for time, budget and resources. It’s a great reference for team members and helps you align and prioritize your work to focus on the objectives that matter for your company! 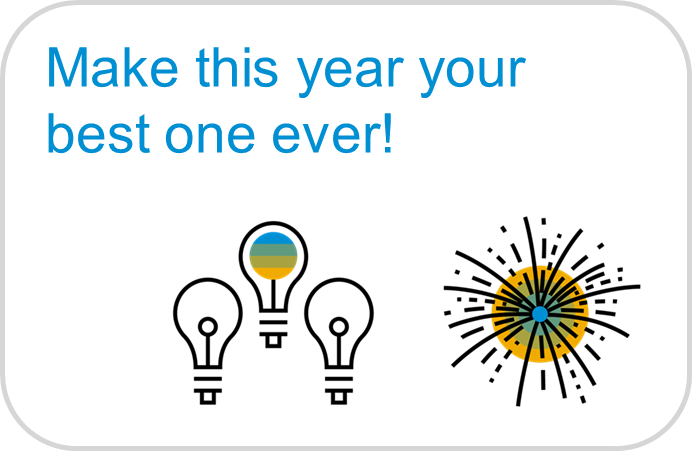 Make this year the best one ever! And get started along the right path by creating a great marketing plan!